Looking great and feeling great go hand-in-hand. At Sunshine Smiles, we would be honored to be your cosmetic dentist. You put a great deal of faith in whomever you chose to improve your smile, and we don't take that lightly! Our highly-trained cosmetic dentists are committed to providing you with a result that exceeds your expectations in every way. We understand that you will be the one to wake up in the morning and look at your new smile every day. Therefore, we'll never try to steer you into a certain look or result that you're not completely excited about. The cosmetic dentists at Sunshine Smiles provide the full range of cosmetic dentistry including teeth whitening, porcelain veneers, white fillings, bondings, all-porcelain crowns, clear braces, and more. We even offer interest-free payment plans to make that perfect smile affordable. And if you're nervous about your appointment, we offer laughing gas to make it a breeze. Smile...it's all about you and we're happy to help! Please call us now or click here to schedule a cosmetic consultation today! 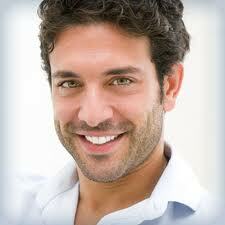 $59 Teeth Whitening with completed treatment plan. Call for details.